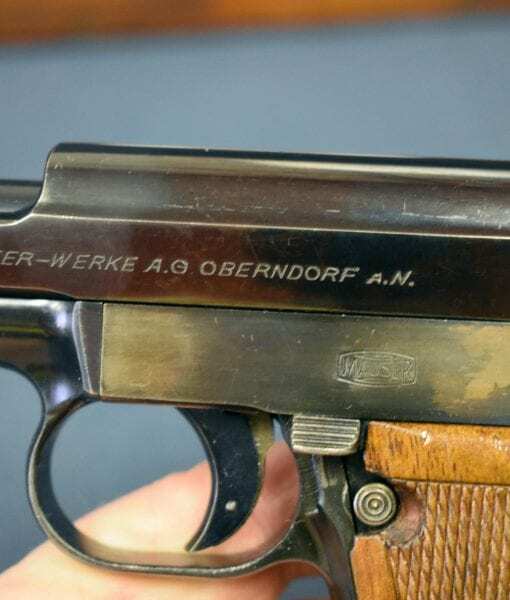 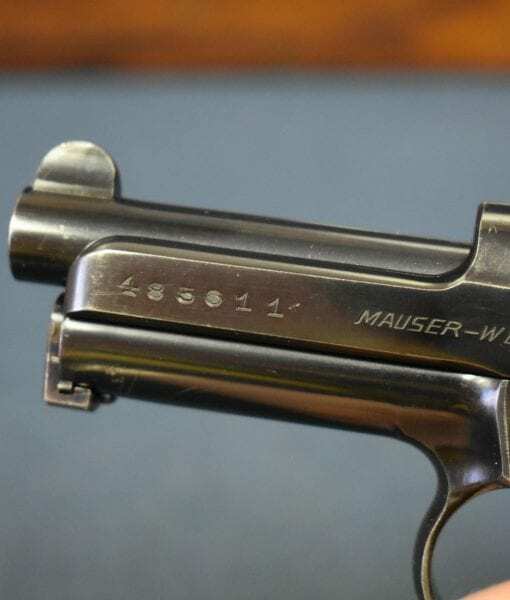 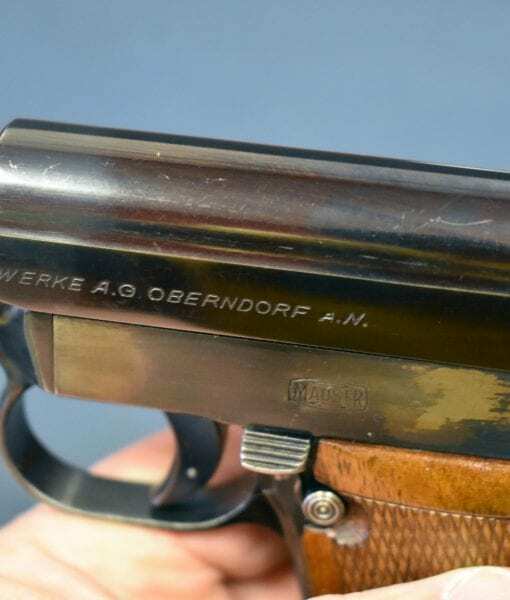 In 95% condition ( and it would be 98% except for defective factory blue on the sideplate) We have a very scarce early Mauser 1914/34 Transition Model that is made much more desirable due to the fact that it bears the property marking of the Deutshe Reichbahn Dienst, the Security service of the Nazi German Railway System. 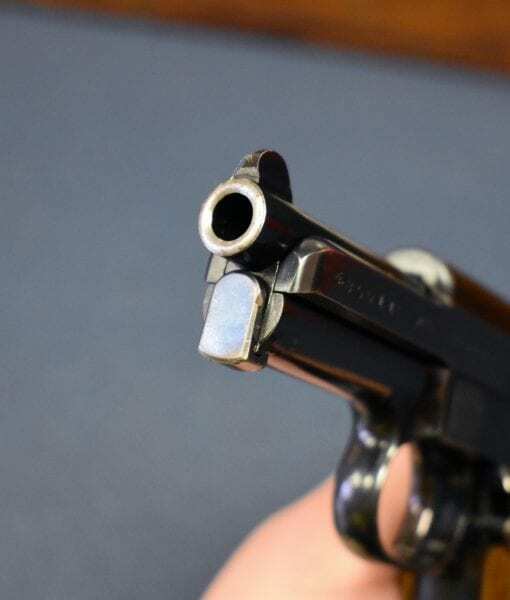 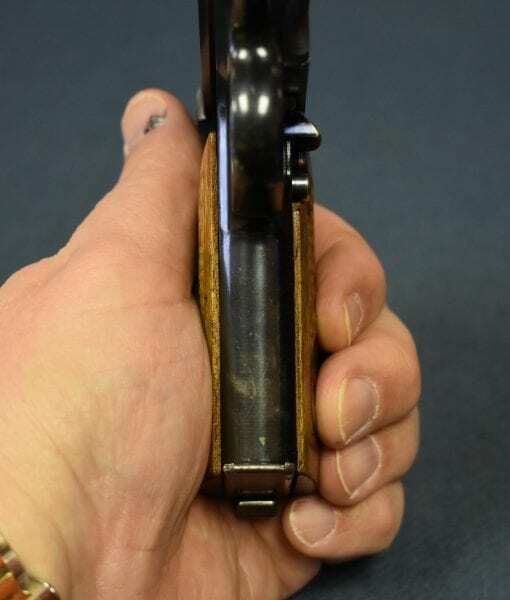 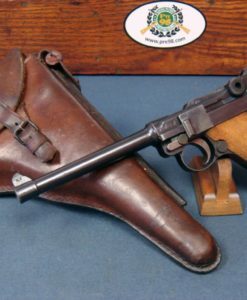 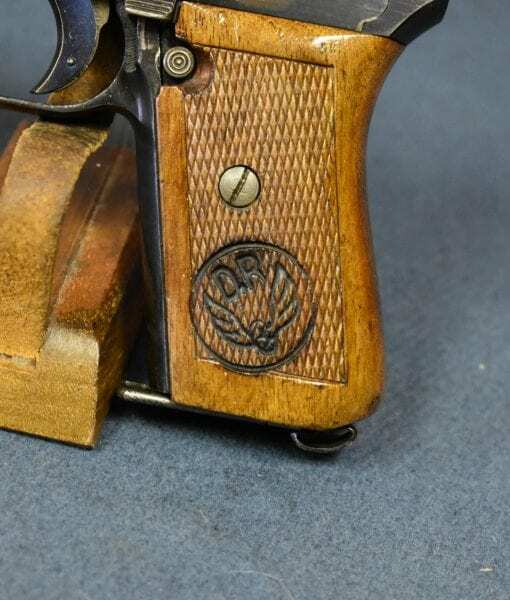 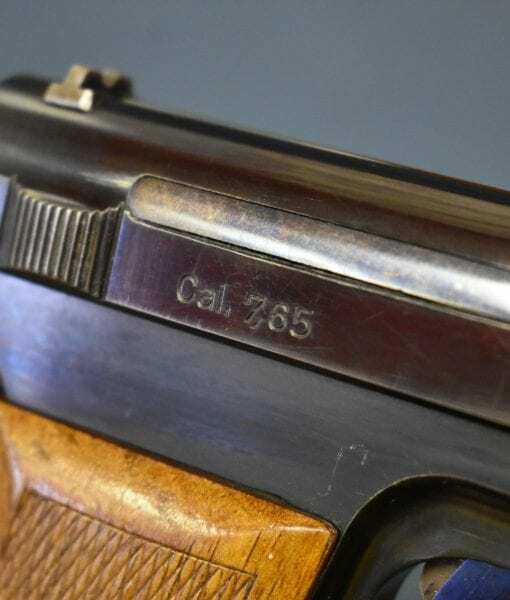 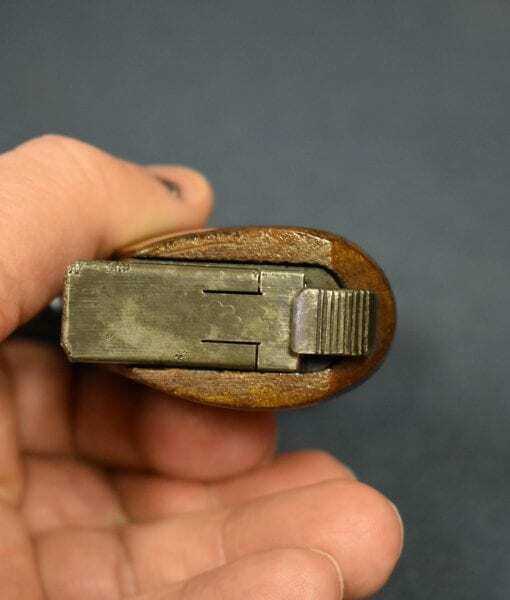 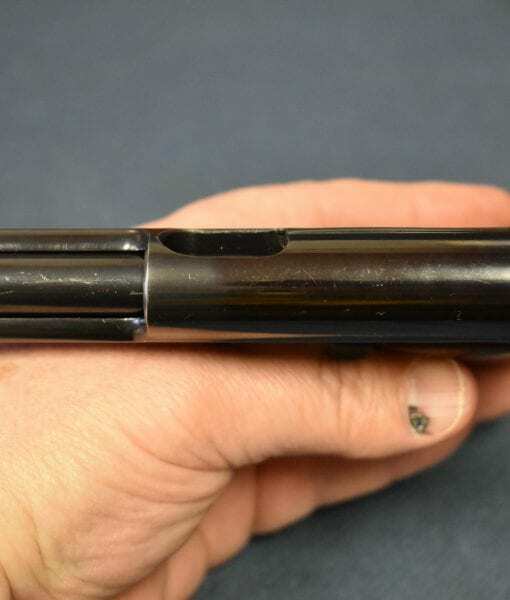 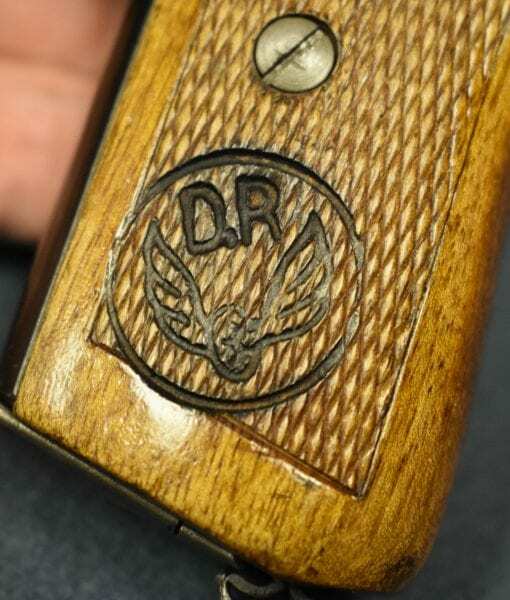 The pistol is quite scarce in it’s own right as it is an early transition model that does not have the Drp patent info on the right side of the slide, so its right after the updates were made to the design. 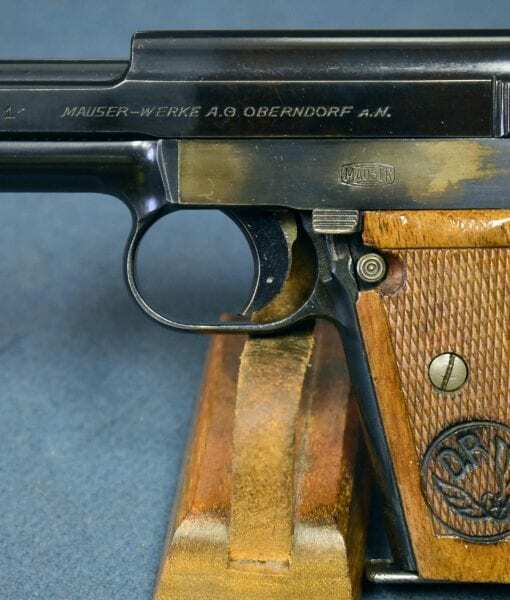 The Wartime reputation of the Reichsbahn and especially its security apparatus is rather notorious, aside from it’s main duties of guarding the railway system and its property from partisan attacks and providing security screening of the passengers, they were complicit in the transport of Jews and others to the concentration camps and participated in guarding and loading these people onto the trains and preventing escape during transport. 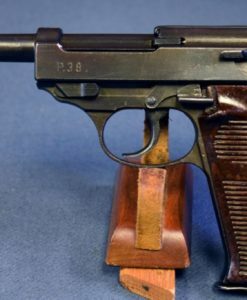 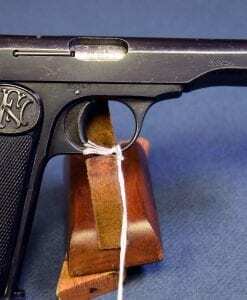 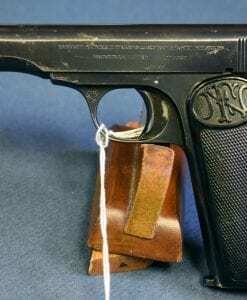 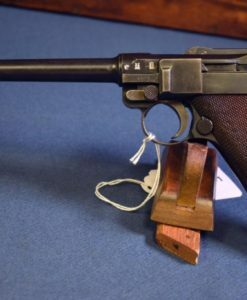 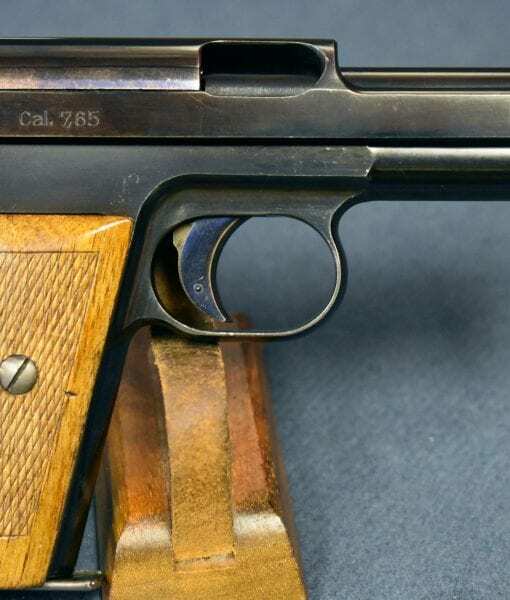 This adds to the historic significance of this pistol and the role it likely played during the war.